Thomas Meunier and Dani Alves will be sidelined with knee injuries, Paris Saint-Germain have confirmed. 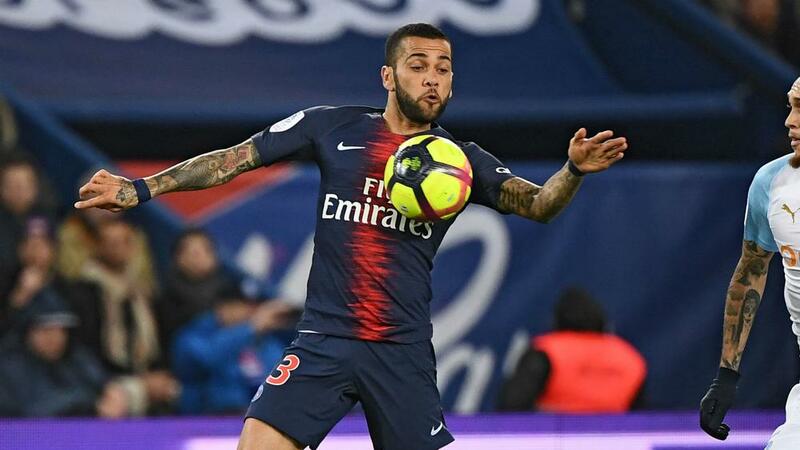 Both Meunier and Alves were substituted before half-time during Sunday's 3-1 Ligue 1 win over rivals Marseille at the Parc des Princes. In a short statement, PSG confirmed Belgium international Meunier had suffered ligament damage, with a posterolateral corner injury to his right knee. Veteran right-back Alves is recuperating from bone bruising in his left knee. The club did not place a timeframe on either player's return. Meanwhile, Julian Draxler is stepping up his rehabilitation from the hamstring injury that ruled him out of duty with Germany. Thomas Tuchel's side are 20 points clear at the top of Ligue 1, having played a one game fewer than nearest challengers Lille.